The LG Arena has surely had one short life with AT&T. The aluminum feature phone was officially announced by the carrier at the end of February 2010 (although the first rumors started back in May 2009), and now, two months later, we contacted LG's media relations team, which said that the carrier has already sold through their existing LG Arena inventory and has no plans to restock it. Sad? No, not really. Actually, the phone is still available on the AT&T's site, which means there might be some units left, but most probably these would be the last days of the Arena's lifetime with the carrier. If you happen to realize just now that what you've wanted all along was the LG Arena, you might want to head over to AT&T's online store and try to do a last minute purchase - you'll find it here. 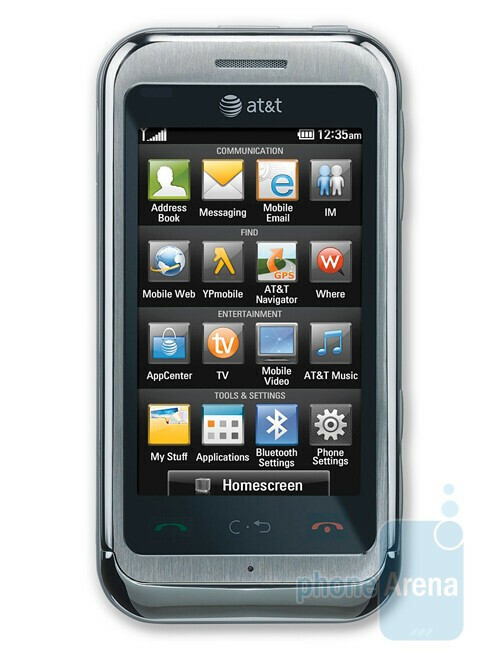 You can also check this page for the rest of the phones in AT&T's lineup. There are plenty of great features to this device. I agree it probably would not be an easy sale for %80 of customers, but for the ones with enough cash you have to SELL'EM ON IT :D Parker04@ go to att.com/careers. Best way to go about doing so. Good luck my friend.